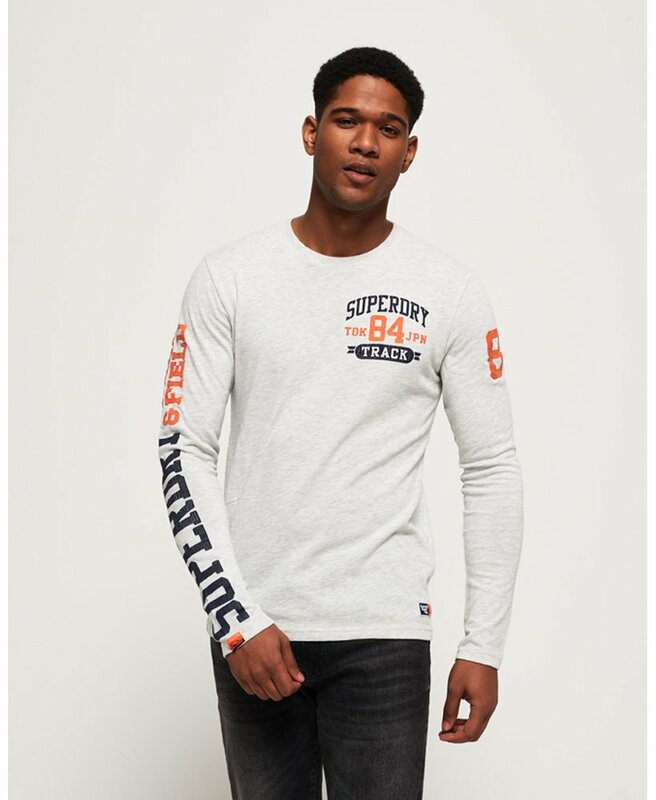 Superdry men’s Track & Field long sleeve t-shirt. This long sleeve tee is essential for those transitional weather days. It features a ribbed crew neck, a Superdry logo on the chest and sleeves, all of which have a cracked effect finish and is completed with a logo tab just above the hem.